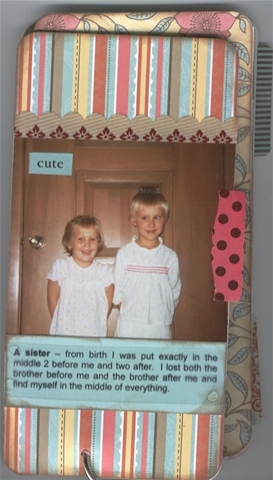 Here is the mini book I wrote about in an earlier post that I used some of the supplies I picked up from Hollo's. I used the 4 X 8 pieces of chipboard. I love how you can tell a story in a mini book. They come together quickly, you can play with all types of supplies. You can easily make them for a gift or for yourself. 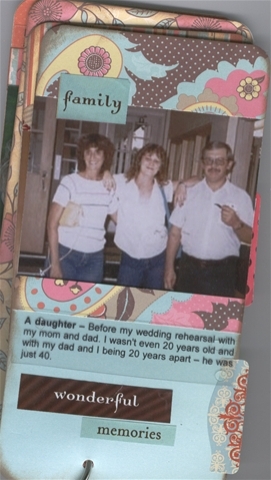 Journaling reads: A sister - from birth I was put exactly in the middle. 2 before me and two after. I lost both the brother before me and the brother after me and find myself in the middle of everything. A child - I remember that long hair, leather bracelet and my Ziggy shirt. All of my favorites at the time. 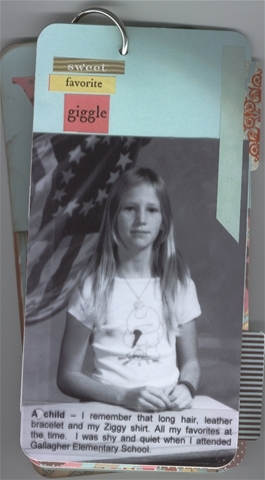 I was shy and quiet when I attended Gallagher Elementary School. 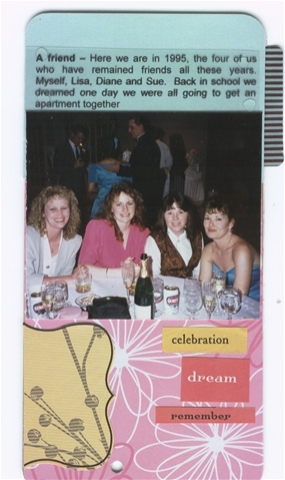 A friend - Here we are in 1995, the four of us who have remained friends all these years. Myself, Lisa, Diane and Sue. Back in school we dreamed one day we were all going to get an apartment together. 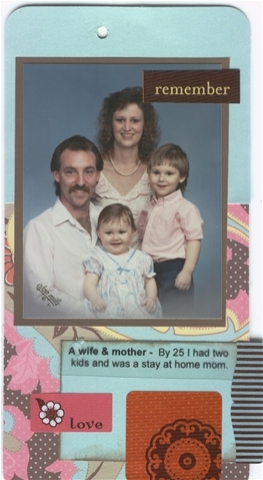 My plan was - to have 2 children two years apart. 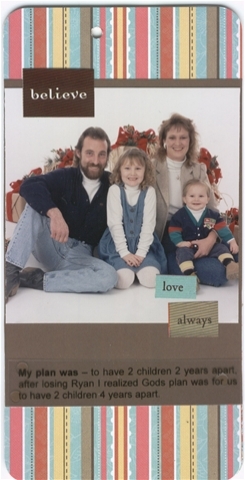 After losing Ryan I realized Gods plan was for me to have 2 children 4 years apart. 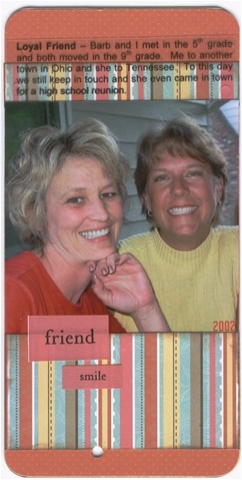 Loyal Friend - Barb and I met in the 5th grade and both moved in the 9th grade. Me to another town in Ohio and she to Tennessee. To this day we still keep in touch and she even come in town for a high school reunion. 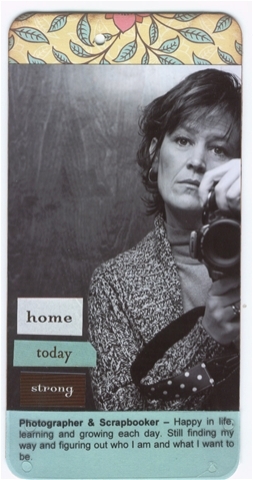 Photographer & Scrapbooker - Happy in my life, learning and growing each day. Still finding my way and figuring out who I am and what I want to be.